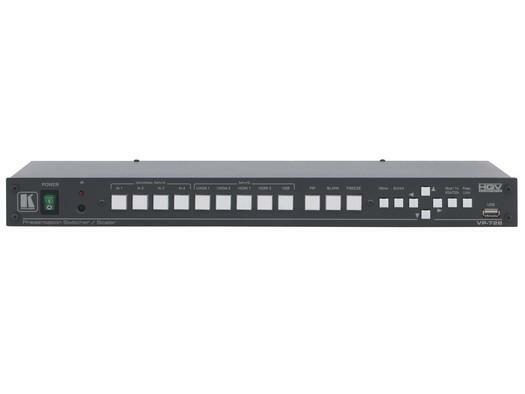 The VP-728 is a 9-input scaler/switcher for analog and digital video, unbalanced stereo, and S/PDIF audio signals. 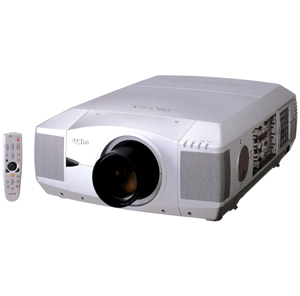 It up- or down-scales any video signal: composite, s-Video (Y/C), component video (YUV), HDMI, computer graphics video and JPEG files to a selectable graphics or HDTV output resolution via identical HDMI or 15-pin HD outputs. Fade-Thru-Black (FTB™) Switching – The video fades to black and then the new input fades from black for smooth, glitch−free switching. The output signal provides constant sync so the display never glitches. K-IIT XL™ Picture-in-Picture Image Insertion Technology – Ultra stable picture−in−picture, picture−and−picture, and split screen capability. Any video source can be inserted into or positioned next to a computer graphics video source or vice versa with window positioning and sizing controls. 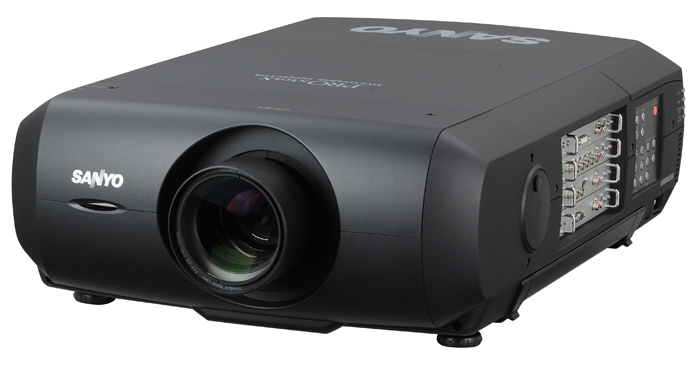 Projector Anywhere™ Technology – Horizontal & vertical geometry controls to compensate for off−axis projector placement. 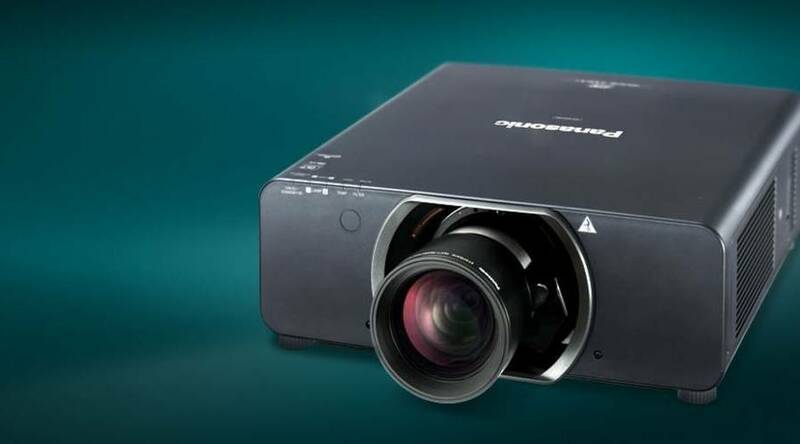 HDCP Compliant – The HDCP (High Definition Content Protection) license agreement allows copy−protected data on the HDMI input to pass only to the HDMI output. Video Inputs – 4 universal video (composite, s−Video, component) each on 3 RCAs, 2 computer graphics video (15−pin HD), 2 HDMI and 1 USB (for JPEG data). Multi-Standard – Auto, NTSC (3.58/4.43), PAL (M/N/60) & SECAM. Scaled Video Outputs – HDMI & 15−pin HD. 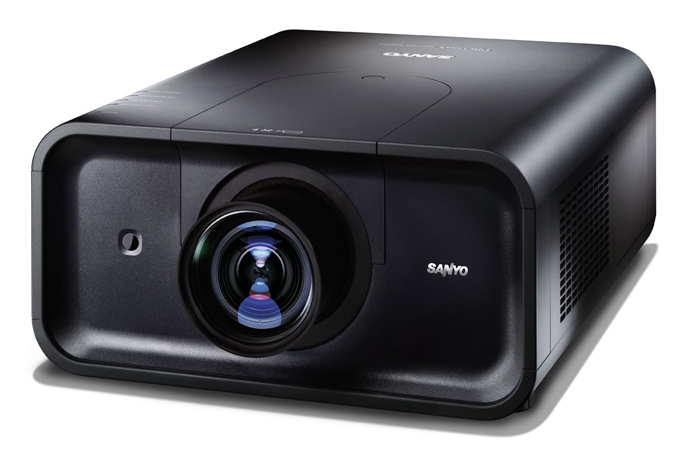 HDTV Output Resolutions – 720p, 1080i, and 1080p. Computer Graphics Output Resolutions – 32 plus a user definable custom output resolution with selectable refresh rates. Multiple Aspect Ratio Selections – 4×3 or 16×9, anamorphic, letterbox, and user definable settings.